This article lists the best swing trading books on short term swing trading. There are tons of books written about stock trading on every topic, and these are the top 10 trading books in my opinion. Technical analysis is mainly used for swing trading or day trading purposes. Technical analysis shows a trader how to use stock chart to find trade setups, and buy and sell short term for profit. Long term investors should read books about fundamental analysis. If you are a trader or learning how to trade stocks, below are the top technical analysis books that you should have on your bookshelves. Below are some of the best trading books of all time. This is one of the most comprehensive and best technical analysis books which gives you step by step instructions on how technical indicators work and how to apply them in real life trading. John Murphy teaches technical analysis concepts, including support and resistance, candlestick trading, oscillators, and how they can be applied in the futures and stock markets. These concepts are timeless and presented with specific examples and stock charts. If you are a stock market beginner and looking to start short term trading, this is the first book you should pick up. It is a great reference book on technical analysis and it is not too wordy. From learning how to read stock charts to understanding technical indicators, you will gain a nice overview of the field of technical analysis. O’Neil goes into depth about his method and techniques for finding winning stocks. He offers tips on picking the best stocks, mutual funds, and ETFs and provides us with over 100 past charts of the most profitable stocks in history. This is not a pure technical analysis book, but certainly one of the best trend following books. What’s great about this book is that Jack Schwager interviewed top traders and includes their advice. Interviews include Paul Tudor Jones, Marty Schwartz, Tom Baldwin, Michel Steinhardt, and more. He shares great stories of how these legends became successful. It is interesting and helpful to know the minds behind some of the top traders in the world. You’ll see that these traders have different trading styles but you can pick up strategies from their style to fit your own. In the end, trading success comes down to solid methodology and proper mental attitude. This book is a little advanced so it is good to have some knowledge of technical analysis and experience with investing before reading. 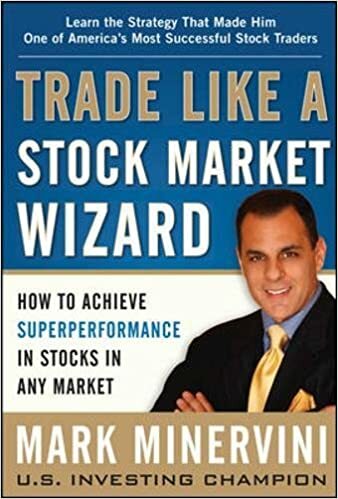 Mark Minervini shares his proven and time-tested trading system known as SEPA, which he used to achieve his triple-digit returns. SEPA is a trademarked stock market method that stands for Specific Entry Point Analysis. He explains in detail how to choose precise entry points and manage risk. You will learn how to find the best stocks before their big movements, how to avoid common and costly mistakes, how to buy an IPO, how to manage losses and protect profits, when to buy and sell, and more. SEPA has proven effective for choosing precise entry points and exit points so that you can preserve your capital and profit. Minervini also provides examples of his own personal trades with his comments. He shows us charts of stocks and his entry points. Overall, this is a great book for swing traders. This timeless book is a great read for investors, whether beginners or experienced. This is a classic investment book and, even though it was published in 1923, the lessons are still relevant today. Although the tools have changed, human psychology stays the same. This book reinforces the importance of investing in leading stocks in leading market sectors. 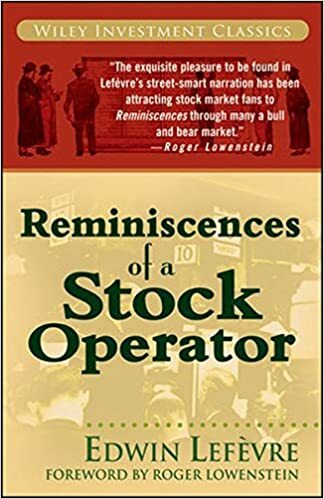 It reads like a biography, where Edwin LeFevre writes about a famous and successful securities trader, Jesse Lauriston Livermore. Mark Douglas talks about human psychology and helps traders to overcome the habits that cost them money. He focuses on the psychology of successful traders and explains the mental mindset that is needed in order to be successful in the markets. To a successful trader, you need to be disciplined. Not only is this book great for beginners, but it is also helpful for experienced investors because it can help you with self-reflection. Nicolas Darvas documents his techniques that he used to accumulate his fortune. 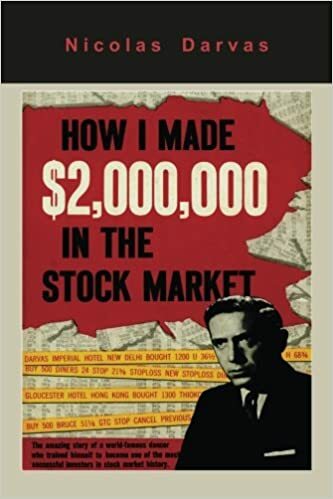 The book explains his unique “Box System,” which he used to buy and sell stocks. He uses his Darvas Box method to screen stocks based on their price and volume. Darvas is one of the best traders and his method has been tested and found to be one of the best trading systems developed. What’s admirable is that Darvas began as a dancer who had no knowledge of the stock market or finance in general. After many years of struggling, he found a system that worked. He also talks about trading psychology and being disciplined to use stops and cutting any losing positions quickly. Trading for a Living is one of the top swing trading books where it teaches you 3 major concepts in short term stock trading: Psychology, Trading Tactics, and Money Management. You will need all 3 of these skills in order to survive and make money trading stocks. Many traders lose money and neglect the importance of trading psychology. Alexander Elder teaches about trading psychology and how you can use it to improve your profits. The book teaches you to focus on making good trades by helping you understand market psychology and why traders act the way they do. You will start to see that the reason why you buy or sell a certain stock at a certain time is often related to your emotion. Elder also gives us an overview of technical indicators and how to use them. Whether you are a stock market beginner or an experienced trader, you will learn something new from this book. This book has some unique insights on how to use technical indicators which you won’t find in any other book. Again, you will learn how to use technical indicators like stochastic, MACD and how to apply them in swing trading. Marcel Link shows us how to read charts and provides us examples with detailed analysis. He also shares with us trading rules to follow such as don’t rush into a trade or buy based on the news. These rules can help you avoid losing all of your money. Overall, this book is a great a comprehensive guide to technical analysis and how to become a better trader. If you want to make money swing trading, understanding candlestick patterns is the key. Japanese candlestick charting is one the most profitable ways to trade the market and Stephen Bigalow will teach you what you need to know to get started. By learning candlestick trading, you can spot trend reversals before other investors. You will learn all the basic candlestick patterns and reversal patterns that allow you to jump on a trade before the beginning of a trend. Bigalow discusses important candlestick reversal patterns and signals, including the Doji, Engulfing Patterns, Harami Patterns, the Inverted Hammer, the Hanging Man, the Shooting Star, and Dark Cloud Cover. You will learn how to apply these candlestick patterns to your real life trading and how to recognize profitable trade setups. This candlestick book will help you to find trades that have the maximum potential for profitability. If you want to learn how to profit with candlestick formations, this is a great book for you to get started on. This is one of the first technical analysis books that I read on technical analysis and it is the 2nd book written by Alexander Elder, the author of “Trading for a Living“. This book shows you how to apply the trading strategies that you learn from “Trading for a Living” in great detail. You will see how Dr. Alexander trades and applies his own trading systems. This book reviews the basics of trading stocks, futures, and options as well as necessary psychological tactics. Edler presents less known indicators and shows us how to combine different indicators, such as EMAS and MACD. He explains the importance of creating a trading journal and gives us sound money management rules to help us maximize our profits. By learning about Elder’s three M’s (Mind, Method, and Money), you can train yourself to become a disciplined and successful trader. 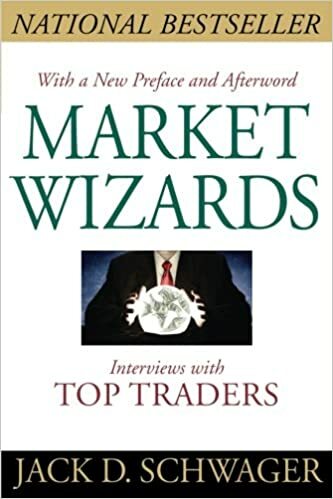 Whether you are a swing trader or a day trader, this is a good book to learn about trading skills and trading strategies. Toni Turner focuses on helping traders find profits in short-term stock movements. You will learn about the author’s successful 7-step approach to the stock market. Turner discusses how to create our own trading plan to maximize gains and lower risk. She also teaches us how to analyze market cycles and find profit opportunities. You will learn about risk-reward ratio and when to enter and exit a trade. Some of the key buy and sell signals he details includes trends and trendlines, candlesticks, momentum indicators, and volume. This book is great whether you are swing trading, position trading or selling short. This is a great day trading book for those of you who are thinking about day trading online. Toni Turner shows us how the market works in a step-by-step matter so that you can day trade in today’s market. She provides us with the latest information on mastering the financial markets, including new trading products such as ETFs (exchange traded funds) and E-minis. She also teaches us decimalization of stock prices and the best entry and exit points to maximize our profits. She covers basic charting patterns that are essential to trading and explains them in simple terms. Day trading requires strict discipline and this is a great book to get started. 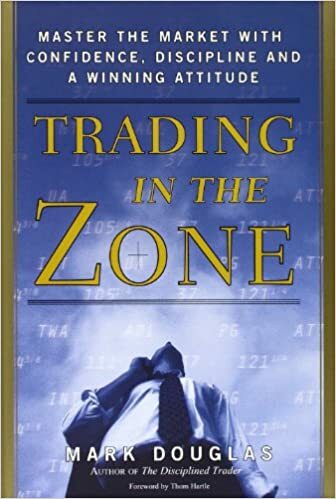 I would also recommend this book for those who are swing trading as many of the same concepts apply. Encyclopedia of Chart Patterns is yet another great book on technical analysis and chart patterns. Thomas Bulkowski shares how to trade the important events, including quarterly earnings announcements and stock upgrades and downgrades, and gives us information on what happens after these events occur. It is a very detailed book with over 1,000 pages and contains 53 chart patterns and 9 more event patterns. He shows us what signals to look for and how failed patterns look like and why they failed. You can use his stock market strategies to increase your profits and minimize risk. This book is a great read for stock market beginners. This book is a compilation of trading strategies used by 16 traders who live in different countries and follow different markets. Each of the traders walks you through a winning and losing trade, showing his or her signals on the charts and explaining his or her analysis. You will see how they trade and how they apply their trading strategies. By studying how successful traders select trades and make their decisions, you will learn to become a better trader. Concepts that you will learn include trading psychology, money management, record-keeping, and analyzing stock charts. This book is an easy read, but not for stock market beginners. You should at least know how to use technical indicators before you pick up this technical analysis book.